It’s a testament to Berry Gordy Jr’s knack for talent-spotting that of the first three Tamla singles, all three were by performers who went on to significant careers. Here we have the first record by teenage singer and pianist Barrett Strong, who would have the distinction of scoring Motown’s first big hit record with Money (That’s What I Want) a little further down the line, and who would then later on become one of Motown’s most valued songwriters in his role as lyricist with Norman Whitfield. This energetic A-side, written by Gordy together with the songwriting team with whom he’d been responsible for a number of hits written for Jackie Wilson – including his big sister Gwen Gordy (Fuqua), who ran the Anna Records label, far more successful than Tamla at the time – is closer to Marv Johnson’s Come To Me than to its B-side and the two Eddie Holland sides previously featured. It’s a generic upbeat R&B stomper with strong doo-wop echoes, but featuring Strong’s much flatter, more guttural voice in place of Johnson’s fine tenor, and managing to somehow find the time in its two minutes’ duration to fit in a coruscating sax solo at the halfway mark. The most energetic Motown single up to that point, it has a liveliness not found in the previous four sides which makes up for the lack of imagination on show here. The sudden ending also takes the listener a little by surprise, as though it wasn’t actually supposed to end like that. Unfortunately, the masters for many of the earliest Motown singles (including this one) weren’t retained for posterity, and so for those songs, the compilers of the superb The Complete Motown Singles: Volume 1 set had to rely on recordings taken from actual 45s; unlike the transfers taken of Eddie Holland’s first two Tamla sides, which sound pretty much fine apart from a little bit of distortion in the loud/high parts, the transfer of Let’s Rock is of considerably poorer quality; it sounds muffled and muddy, which is a shame and robs the song of a bit of its energy. Only a bit. First Tamla stripes design I believe. Might be a good time for me to state Berry Gordy is in firm control, very little delegating. I think it noteworthy also that Berry has a track record of successful songs that I think one would have heard the first time and said “That’s a hit”. Songs like Lonely Teardrops, That’s Why, and Come To Me. I don’t understand why he didn’t continue that model. Instead he issues gritty RnB songs, and very shortly fanciful, awkward songs by the little-known Miracles. Has it actually been confirmed that 54022 was pressed BEFORE Nick & Jaguars on Tamla 5501 (also recorded in early 1959)? That one was on stripes as well, and stands to reason that it was a new series before the 54000 series (why would they start the 54000 series and then start another Tamla series to run concurrently?). It was my impression that Berry wanted his new distributors to believe that his firm had been operating for a while (and wasn’t just a couple record “flash in the pan”, so he decided to change to a number that made it appear that there were many previous issues. Apparently, he started with 54022. But, the story going around (I heard first in the early ’60s) was that he chose 55024 as a starting point (to commemorate his first “hit”-“Reet Petite” by Jackie Wilson. 55024 was that record’s Decca records catalogue number. However, the story goes, he wanted to avoid using Decca’s exact catalogue series numbers (as that series was still in use). So, he changed the number a bit, to 54024. There were two releases of Tamla 54024: One by The Swinging Tigers, and the other by Chico Leverett. 54022 by Barrett Strong was only discovered many years later, and so (though a legitimate pressing) appears to have been “pulled back” or canceled before any release. I had never seen or heard of it until the 1980s. The use of 5501 for Tamla seems to be an early. aborted (the first) “tribute” to Berry’s success with Jackie Wilson. Then, 54024 was used. THEN, after that, and a few other later numbers in the 54020 series were assigned, perhaps 54022 and 54023 were assigned (but soon cancelled)? Unfortunately, the whole period’s history is impossible to re-create. Robert Bateman, Robert Gordy, and others interviewed, cannot seem to such details, which were so unimportant at the time. Most accounts I’ve read name either Barney Ales or Loucye Gordy Wakefield (or both) as the force(s) who tidied up the Motown office; anything before they pitched up seems to have been done on the hoof. Sales orders, internal memos, master tapes and anything and everything else that might be invaluable for historians today, seemingly just lost in the vortex of disorganised small business filing “system”. Perhaps some of it will surface someday, the next time the Motown Museum gets refurbished or something. In terms of when the Nick & the Jaguars 7″ was pressed, I’ve no idea, but the release dates in 1959 seem to be at least four months apart. 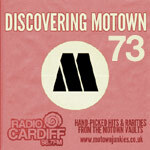 Of course it was far from unusual for Motown’s release dates to bear no relation to recording dates, pressing dates or the logical ordering of catalogue numbers, so that doesn’t really help. It’s possible this was the first draft of the Tamla numbering system, and was simply delayed because of whatever arrangements existed between Gordy and the group’s representatives. (Ridge Records, the label with an unspecified connection to the Nick & the Jaguars Tamla 7″, used a very similar numbering system – 6601 for the Biscaynes, 6602 for Don McKenzie). It might be interesting to note that although Berry did notice talent in young Barrett Strong, one of his main motives for taking him on at Motown was said to be a hope that he would influence his talented cousin, Nolan Strong (of The Diablos) to join Motown when his contract with The Browns’ Fortune Records was up. Berry tried several times to sign Nolan. He almost succeeded. But, in the end, Nolan decided to stay with The Browns. who had treated him and his group, like family. A similar situation may have existed related to Gordy’s signing of Mabel John, sister of hit singer “Little Wille” John. No doubt Gordy was glad to have the talented young female Bluesy singer in his stable of artists, but, he really would have liked to have her brother to “put his label on the map”. As it turned out, in the end, his Motown Records might have done more for both Nolan Strong and Little Willie John, had they signed. It might have prolonged their careers and, perhaps, given them a renaissance in their later years (at least in the case of Strong, who didn’t die as prematurely as John). A good theory, and it seems highly plausible to me (as a strategy, rather than something that might actually have paid off) – Gordy swinging for the fences right from the start! Yes, I had heard that the early “bookkeeping” (such as it was) was done “on they fly” by whoever was available at the time. That is clearly proven by their having issued two different records by different artists on 54024. I knew that Tamla 5501 had a later official “release date” than 54022-54024. 54022 never really had a “release”. It just seems crazy that 5501 would have been “assigned” during the run of the 54000 series. I suspect that it had been assigned between Tamla 102 and Tamla 54024. Then, 54022 was assigned after 54024 (but never released). There was a hold-up on the release of 5501, which came out later than 54024 (but had already been pressed). Motown didn’t have any extra money then, so assigning a new 54000 series number to Nick & Jaguars’ records and paying to print new labels and having people paste them over the old (5501) labels was neither a realistic nor a practical option. I’d very much like to know the story behind “Let’s Rock”, and why it was “pulled back”. I like both sides of it better than any of Barrett’s other Tamla cuts, other than “Money”. Oh, I quite agree – I was trying to say, it seems most likely that they came up with this 5501 business exactly when you suggest, had the record pressed up, but then the release was delayed and the 5402x series started up before it could appear. I doubt that they just “made up” catalogue number 5501. The 550 start matches the 550 start of 55024 Brunswick catalogue number for Jackie Wilson’s “Reet Petite” (Gordy’s first hit) per story of how Gordy finally arrived at 54024. I think it was an aborted first attempt to honour “Reet Petite” right after #102. Then, Gordy decided to use the full 55024, but then changed to 54024 to avoid using Brunswick exact same number series. It seems to follow a logical thought progression. I was only joking 🙂 I agree that’s by far the most convincing explanation. Note that the flip of this has a different and earlier catalogue number of 54021. There’s no consistency in the Motown numbering system here. Go figure! In fact, that might mean that “Let’s Rock” was actually the B-side. It seems that everyone had forgotten about this release except for Jamie Bradford. I’m absolutely sure that “Let’s Rock” was the “B” side. If it were the “A” side, it would have been given 54021 rather than 54022. I meant to type “Janie” not “Jamie”. One question that I have; after looking at the publishing credits for several of the early Motown releases (such as “Let’s Rock”) is a credit to a “Fidelity Music” and/or “Bengal Music” instead of the usual (for Motown releases) “Jobete Music”. This would be nothing except the songwritng credits feature Berry Gordy Jr.’s name among the writers. Anyone out there have any infomation on this? I like the “Motown Junkies” website; keep up the good work I’ll be on the lookout for future reviews (and label scans) of classic Motown singles. Fidelity Music represented the 3-way partnership of Berry Gordy, his sister, Gwen, and Roquel (Billy) Davis. Gwen and Billy already had a 2 partner publisher for their Anna Records label (Ro-Gor Music (for Roquel and Gordy)). Berry started Bengal Music as his personal publishing company in early 1958. I suspect that his parents were partners in that firm, as he changed to Jobete Music in early 1959 for his personal publisher. The publishing companies are the vehicles to divide/distribute royalties to the song owners (songwriters/publishers). Either someone was his partner in Bengal Music or someone was his partner in Jobete Music. I believe that he was already divorced from his first wife (Thelma Coleman) by the time he formed Bengal Music. So, perhaps Jobete Music was an attempt to add in his second wife, Raynoma Liles, as a partner. But in that 2nd divorce settlement, Miss Ray did NOT get a share in Jobete Music, so I’m not sure why the change from Bengal to Jobete occurred. I think it IS ODD that Fidelity Music is sharing this song’s publishing rights with Berry Gordy’s personal Bengal Music, as the song was written by Berry, Gwen and Billy Davis, whose partnership is ALREADY fully represented by Fidelity Music. So, Berry gets half, plus 1/3 of the other half. I guess he was taking half for Barrett being his own artist, and Tamla his own label. But, I wonder why that should affect getting the publishing of a song written by those 3 writers, when normally, it should have been divided equally among them. Finally, we get into some Rock n Roll. This song was catchy and headed towards the sound of young America. I think I’m the only one that don’t really like this song. Its not all that satisfying hearing wise. Barrett sounds like his nose is stuffy. The song ends very abruptly. Plus, what is it about? Ok, I can tolerate it a little but, I think the quality of it ruins this I guess. 2/10. I disagree. I think this is a nice “rocker” for 1959, and the “5” rating is right on target. One of the things I’m trying to learn more about from this chronological study is the gradual switch from shuffle to straight 8ths time feel in pop/rock. The doowop numbers are of course pure triplets and Come to Me is straight 8ths with just a hint of swing, and almost all the iconic later HDH stuff is pure duple. But this one goes back and forth systematically – the first half of each verse phrase is straight and the second (especially the bass) adds a bit of swing. Does anybody have any theories about how and when and by whom the straight duple groove thing began to come into vogue? There’s also the Chuck Berry thing where the bass is playing one feel and the drums the other creating that amazing tension. The comment section for “Do The Very Best You Can” is no longer enabled. Yes. I wanted to comment regarding the so called “A” and “B” sides of Tamla 54021/22. New entries coming soon, folks, honestly truly.